I thought I’d share some of the more beautiful species that I know. Aquarium fish keeping has always been a popular hobby. a beautiful fish tank is indeed a wonderful sight. These are in no particular order, since beauty is, of course, in the eye of the beholder. First off, cichlids is pronounced “Sick-Lids”. African Cichlids are fish found in Three lakes in Africa; Malawi, Tanganyika and Victoria. The Victorian Species are less numerous and usually less colorful than the others. These fish usually grow to about six or seven inches long, with the exception of the Frontosoa Species, which grow to about twelve to fourteen inches in length. Fortunately, these fish are freshwater, and easy to raise in a home aquarium, the only requirement being that they have water with a higher pH level and plenty of hiding spots (they can be quite aggressive!). There are also species of Cichlids that live in the Amazon Basin, but these get much larger and are much more aggressive than their African relatives. Named Parrot fish because of their calcareous bird-like beaks. Parrot fish use these beaks to crush and eat the small invertebrates that live in coral. Much of the sand and sea floor of coral reefs are actually remains of meals from the parrot fish, they chew the coral, eat the invertebrates and spit out the leftover calcium. 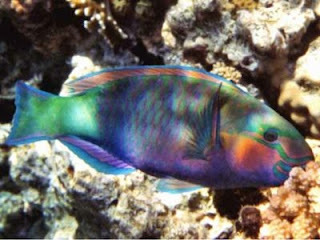 Like Cichlids, There are many individual species of Parrot fish, with varying degrees of color and patterns. 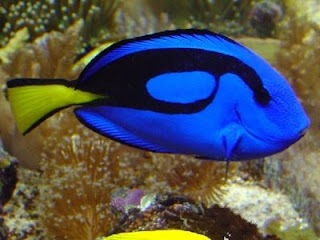 Ever since “Finding Nemo” came out, these fish are usually referred to as “Dory Fish” by children. Tangs belong to a family of fish called Surgeon fish, who possess a small, retractable calcareous blade toward their tail fin. This blade is mainly used for defense, they extract it and rub against an attacker, in an effort to fend it off. A small angelfish, usually available at your local pet store, they really are a fish one needs to see in person to have a full appreciation of their color. 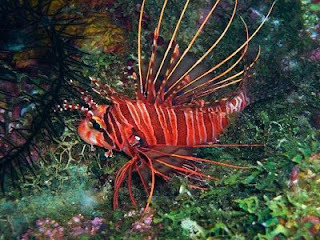 These fish are usually keepable in any marine aquarium and are very hardy. 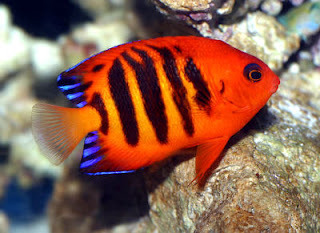 A close relative of the Coral Beauty, the Flame Angel has some of the boldest color of any fish I’ve seen. As with the Coral Beauty, these fish are usually easily available and affordable, but from my experience are a bit more fickle than the Coral Beauty. Yeah sure, most of the Koi you have seen are probably nothing more than orange or white. However, there are many (probably close to or more than 100) color variations of Koi (Just pick up a Koi trader’s magazine the next time you’re at a bookstore). Koi can comer in many colors, including orange, red, white, gold, and black. 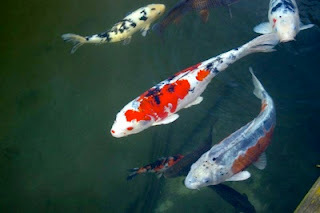 Certain patterns are sought after by avid Koi collectors, some of whom will pay thousands of dollars for a single fish. 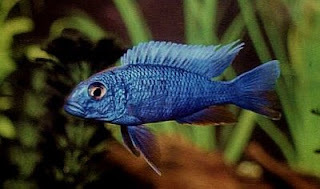 One of the most difficult fish to keep in a home aquarium (and very expensive as well), to most aquarists these fish are the pinnacle of the hobby. You may think you’ve seen them before, but you’re probably getting them confused with another species, the Bannerfish (also known as the False Idol). In eight years of the hobby, I’ve only ever seen these fish for sale in shops on three occasions. Probably one of my favorite fish of all time, the Lionfish (or Zebrafish) is a fascinating species, and is easy to become mesmerized by one when watching it swim. The spines you see on its back possess a painful and powerful venom. Thankfully the Lionfish is somewhat docile and not a fast swimmer, but all aquarists who own one must take extra care when cleaning their tank. Another freshwater species, Discus are probably the single most beautiful species of Freshwater fish. They are also probably the most expensive Freshwater species, second only to the Koi or the Arowana. A small 3 inch juvenile can be anywhere from $50-$80. 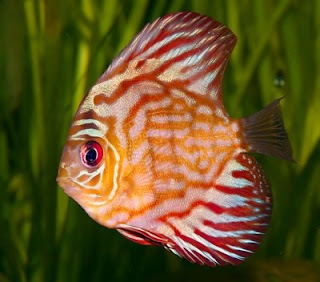 There are many color variations of Discus, most of which are simply breathtaking. Although they are Freshwater species, they do require more experience and care than some Saltwater fish. A lesser-known species, these are probably the single most colorful and vibrant fish I’ve ever seen. 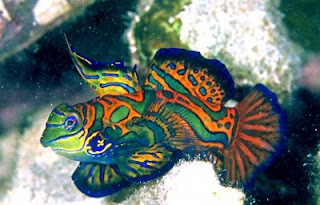 There are two varieties, the standard Mandarinfish and the Psychedelic Mandarin. The standard typically has more interesting patterns and colors than the psychedelic, but both are very beautiful fish. These small fish (usually no more than 6 inches full-grown) usually don’t cost more than $20 for a specimen, but the main problem is feeding them. They only eat small micro-invertebrates that live within live rock in coral reefs. In order to sustain one in a home aquarium, one needs a sufficient amount of live rock that has been in the tank for at least a month prior to introducing the fish. 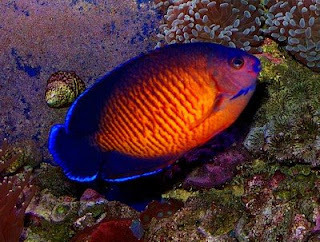 As with some of the other species on this list, one really needs to see this fish in person to witness the amazing vibrance of its color. Thanks for posting this. 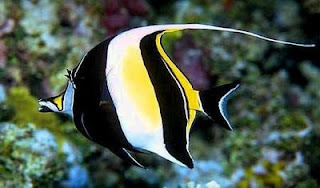 It was a beautiful article of aquarium fish and they are so vibrant in colors. Lovely! They are very colorful... I love them all! No Siamese Fighting Fish? You should see the Halfmoon varieties; they're stunning and come in many, many colors. Lovely choices otherwise. By the way, only the Koi, Discus, and African Cichlids are fresh water. Discus are very challenging to care for. African Cichlids, especially the Mbunas, are very aggressive, therefore having to be kept in a group of at last 15. They will ravage almost any plant. Both the Discus and the African Cichlids need at least an 80 gallon aquarium. Koi need a 1000 gallon pond.